Australia's First Custom Scooter - Hunter Scooter Is Here! Scootersales.com.au were lucky enough to be given the opportunity to check out the new Hunter Scooter. This low, stretched scooter with fat rear tyre is definitely something else. Hunter are a new Australian boutique scooter company for the rider that wants something different (limited to 76 per year) with the ability to stamp their own personal mark on it through endless customisation options. After having fun riding it around Sydney's Eastern Suburbs it proved a real head turner. We look forward to getting to know Hunter Scooter and bringing you more updates and reviews. 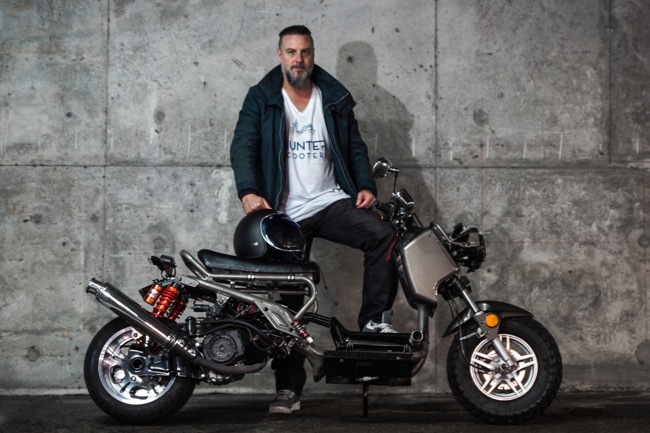 Luke Sommen of Hunter Scooter kindly introduced us to the 150cc model after just getting back from a factory visit and has reason to be excited. 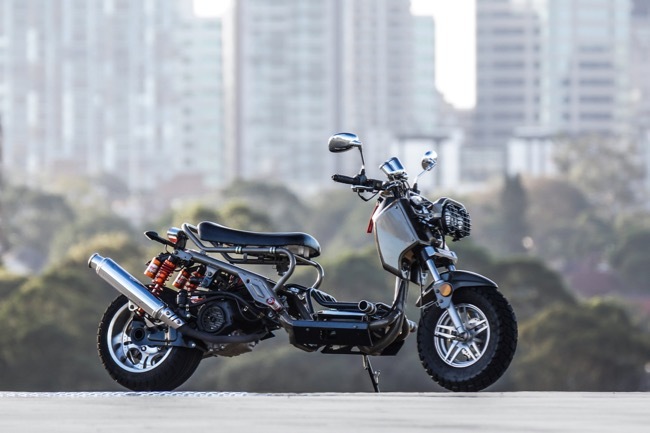 The Hunter is Australia's first custom petrol powered 150cc scooter, street legal ready for you to cruise around town on. Turn heads on the street, show it off at the beach, add some fun to your commute to work, or cruise just for the enjoyment of it. Hunter have created it, now it’s up to you to customise it. While this very well could become your new passion, you also have some serious benefits to justify your Hunter purchase. Save money on fuel, rego, insurances, never pay for parking, minimise your time in traffic, legally lane split, use bus lanes (check your state’s road rules) all while reducing your carbon footprint! Owning a Hunter can also become a great hobby as you can spend hours tinkering, adding to, and customising your Hunter in your own garage or shed. With a myriad of aftermarket options this could be a life-changing purchase that will allow you to express your individuality in a mass produced world. If you don't have a garage but want to play around with your scoots, there are shared workshops where you can go and use their tools or mechanics that offer modifications. Contact Hunter Scooter for our current list of spaces available to help you deck out your ride. The Hunter Scooter look originated in the alleyways and chop shops of Tokyo in the late 1990’s, where ‘originality defined character’. 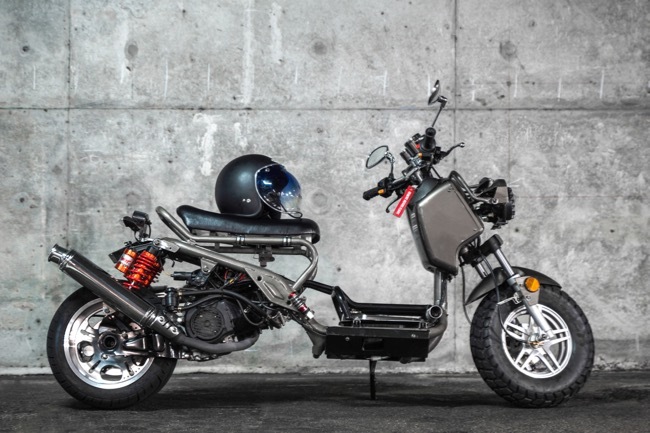 These little bare-boned scooters were transformed into street beasts: with the addition of extension arms on the drivetrains, dropped suspension, cut off sports exhausts, front foot pegs for the cruiser look and, most importantly, a fat piece of rubber on the rear. 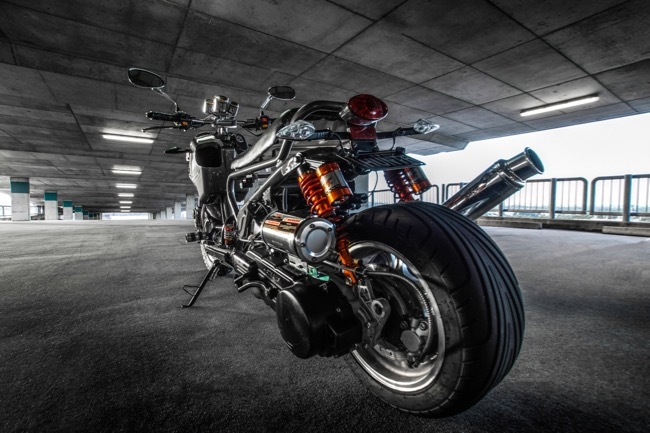 These bikes set back their owners loads of cash in customisation. 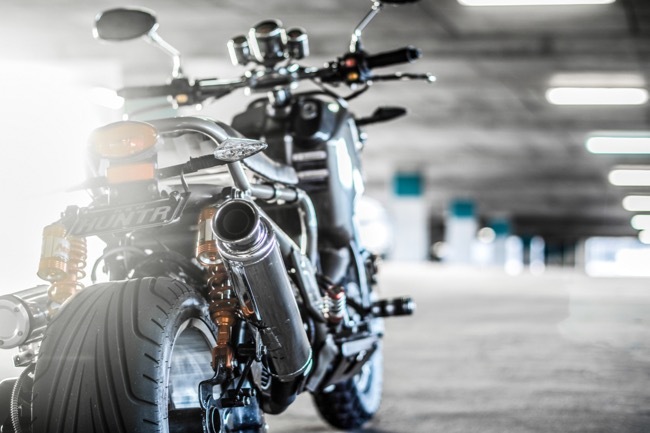 The first expense was their original purchase, which in most cases was in the form of a 50cc Ruckus or Zoomer platform. As customisation became more widespread, the availability of modifications for this type of scooter grew. Manufacturers were offering so many parts, spares and tweaks, bike owners were spending up to three times their original investment on parts to modify and separate their scooter from the pack. They look great, but took a lot of funds and hard work to get there. Hunter wanted to create something just as mean, but at an affordable price that has ‘street cred’ straight outta the crate. The Hunter Scooter has been many years in the making and they have been through many lengthy stages of research and development to get the fine tuning just right. 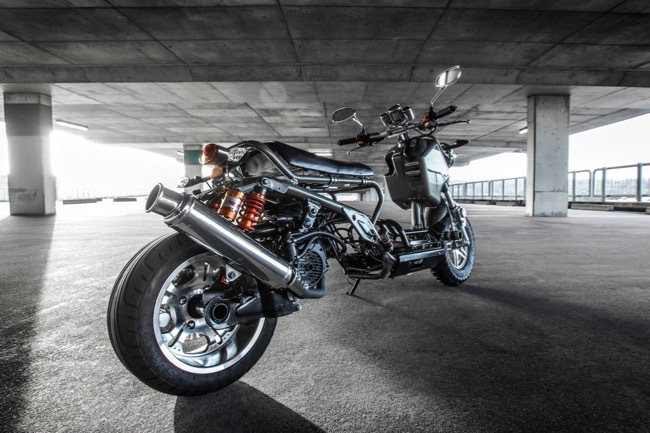 Hunter Scooter have been able to source a great quality manufacturer with an output of 100,000 bikes a year, plus a state-of-the-art factory with high levels of quality control at international standards. We couldn’t be more excited about this incredibly cool bike, the first bike of its kind into Australia. With its four stroke 150cc air cooled motor, Hunters claim a top speed of 90km/hr. Although, Hunter Scooters have clocked it at 109km/hr at Eastern Creek Raceway just outside of Sydney with a slight headwind. This top speed is adequate for city commuting, running around town or heading to the beach. Hunter Scooter offer a 1 year/10,000km motor warranty. 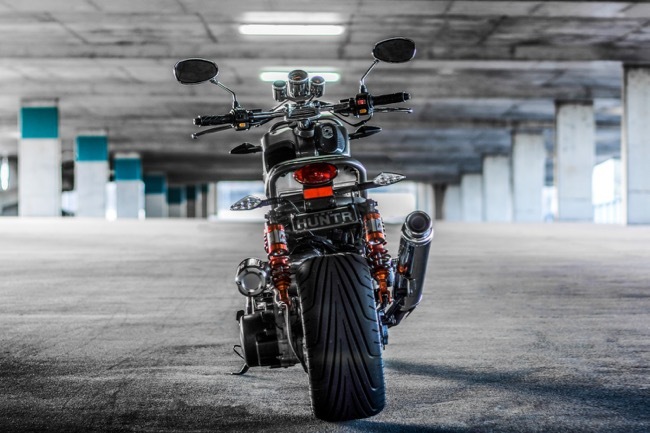 Although Hunter is a new company in Australia, the Hunter factory in China has been producing high volumes of bikes for local and American markets for over 13 years. Additionally, as these machines are hand-crafted using the latest technologies, each will yield unique characteristics and personalities. Rest assured you are fully backed by the Australian supplier who is also ordering OEM spare parts for your Hunter (including the fatty rear tyre). Hunter Scooters retail for AUD $4990 + ORC (GST included). Contact www.HunterScooter.com.au for further information. 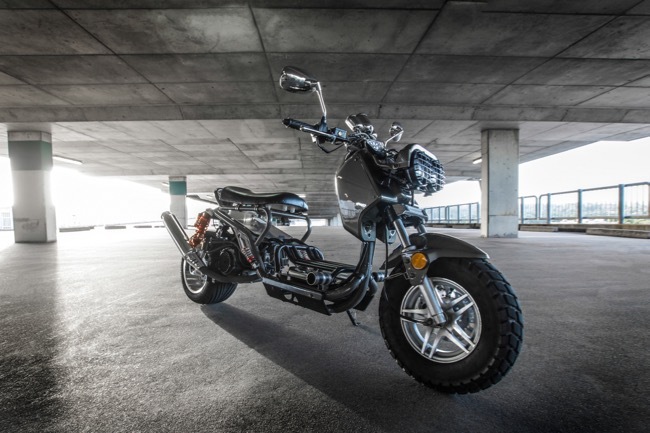 First 76 Hunter Scooters are selling fast and generating a lot of interest so be quick to get one of the first in Australia.